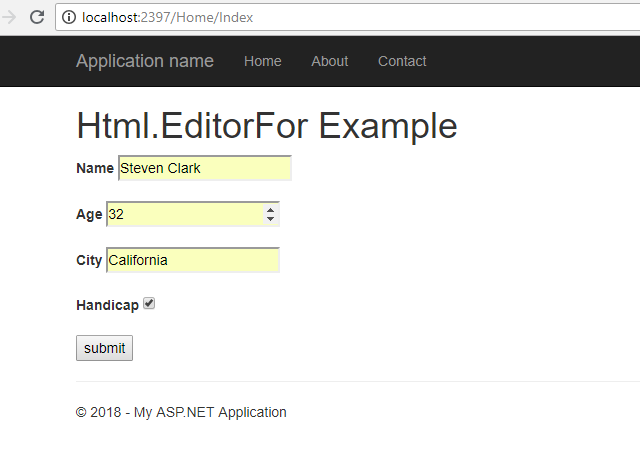 What is Html.EditorFor Helper Method in ASP.NET MVC? Html.EditorFor helper method render input control like a textbox but the difference is that Html.EditorFor helper method renders input control based on datatype. It provides great handling over input control than a textbox control. For example, if you defined a string property, int property and Boolean property in model class, the EditorFor Extension method automatically renders suitable input control based on data type.